Though the Seattle Mariners entered the American league for the 1977 season, they failed to register a winning record until 1991. Despite several playoff appearances in the late 1990s and early 2000s and an all-time record 116 wins in 2001, they are one of the five MLB teams never to have played in a World Series. American League was sued the City of Seattle, King County, and the State of Washington in 1970, for breach of contract in the aftermath of the Seattle Pilots purchase and relocation to Milwaukee by future Commissioner of Baseball Bud Selig. Caught in the lawsuit that requested $32 million in damages, the American League offered to give Seattle an expansion baseball franchise. The result was the establishment of the Seattle Mariners franchise (along with the Toronto Blue Jays) in 1976 and they began playing in 1977 with entertainer Danny Kaye being a part of the ownership group. Originally intended as the home for the Pilots, Kingdome became The Seattle Mariners first stadium as a result of the "Forward Thrust" bond issue passed by King County voters in 1969. Major League Baseball was now back in Seattle. ? Their first game was played at the Kingdome on April 6, 1977 and they lost 7-0 to the California Angels. Seattle Mariners finished last or next-to-last in their division in 10 of their first 13 seasons. No notable achievement happened until 1991. Despite having stars such as Gaylord Perry (the famed spit baller, who was inducted into the Baseball Hall of Fame in 1991, Alvin Davis (American League Rookie of the Year-1984), Harold Reynolds (two-time All-Star (1987-88) and three-time Gold-Glover (1988-90)), and Mark Langston (league-leader in strikeouts pitched (1984, 1986-87), the team continued to lose. Highlights of the early years included hosting the 1979 All-Star Game, Gaylord Perry's 300th career win in 1982, Jim Presley's 10th inning game-winning grand slam on opening day in 1986, cannon-blasts from the "USS Mariner" behind the center field wall following home runs by the home team, appearances by Morganna the kissing-bandit, and promotions such as "Funny Nose Glasses Night." One notable lowlight was Roger Clemens's record-setting performance on April 29, 1986, when he struck out 20 Seattle Mariners on the way to defeating them 3-1, setting what was then the all-time single-game strikeout record and becoming the first pitcher ever to strike out 20 batters in a nine-inning game. Acquired?in the first round of the 1987 amateur draft, center fielder Ken Griffey, Jr. gave the fans new hope. His combination of charisma, stellar defensive ability, hitting power, and base running speed made him one of baseball's preeminent superstars of the 1990s and those 11 seasons were highly successful for the Mariners. Under manager Jim Lefebvre, they had their first winning season in 1991, finishing 83-79 but as they ended up in the fifth place in their seven-team division, Lefebvre was fired. Manager Lou Piniella was hired in 1992 and he ended up managing the team from 1993 through 2002, winning two American League Manager of the Year Awards. Seattle Mariners fortunes began improving in 1994 as strong players were added in the team including center fielder Ken Griffey, Jr., pitcher Randy Johnson, designated hitter Edgar Martinez, and right fielder Jay Buhner. The 1995 season started off with Griffey?s major early-season injury. Pitchers Randy Johnson, Bill Risley, and Bobby Ayala combined for an opening-day three-hit shutout. And they played fairly well. They also celebrated their very first trip to the American League Championship Series in 1995. 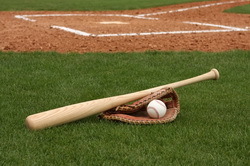 Q:Can i get some good seats with seattle mariners tickets bought from your website? A:You can get the best seats in the place with seattle mariners Tickets bought from our website. Q:I want to get the seattle mariners tickets refunded. Whats the procedure? A:Sorry, but seattle mariners Tickets cannot be replaced. Q:Where can i get the seat numbers for seattle mariners tickets? A:You cannot have the seat numbers for Seattle Mariners Tickets as that information is not allowed us to have by the ticket brokers. Q:I still haven't received any confirmation about my purchase of Cheap Seattle Mariners Tix. What is wrong? A:We are sorry about that. Please call us on our toll free number with complete order details and we will look into why your Seattle Mariners Tickets purchase confirmation e-mail is still pending.